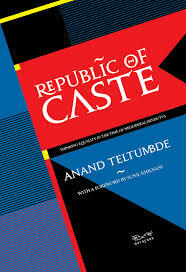 Anand Teltumbde latest book of essays, Republic of Caste, brought out by Navayana, is one of the most important additions to the understanding of caste. Here. the rauthor discusses some of the major concerns of the book with Souradeep Roy, member of the editorial collective of the Indian Cultural Forum. Souradeep Roy (SR): You don’t belong to a political party. Does that help you in your writing? 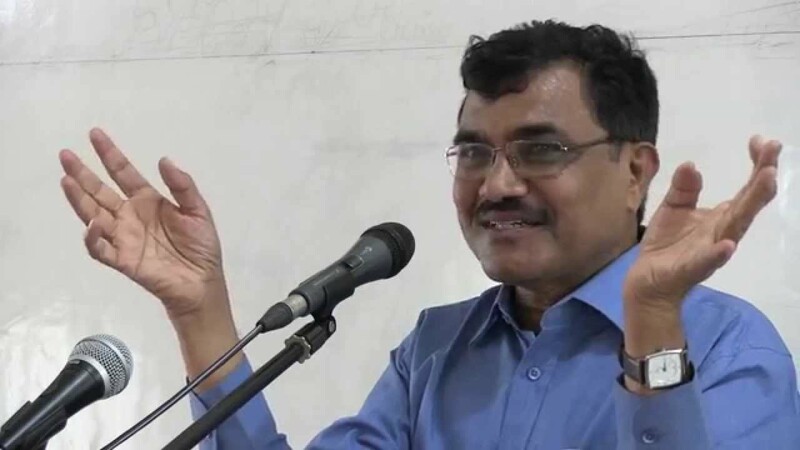 Anand Teltumbde (AT): I don’t have an axe to grind. I am trying to perform the role of an intellectual. The intellectual’s role is to stand by the truth, and tell people the truth. I do it through my writing. My activism, of course, backs up what I do. My work is not of an armchair intellectual. It has always been consistent and has always been backed up with activism. Of course, if I had an allegiance to any party, I would not have been objective in my writing. So, that is certainly an advantage of sorts. SR: In the book, you write that reservations have furthered the attacks on lower castes by the upper castes, and that it is more beneficial for the ruling castes and classes. Why? AT: See, reservation has been a basic prop to preserve caste. If you go back in history, when they set out to write the Constitution, arguably, not only untouchability but also caste could be outlawed. I have written about this in the book. In 1936, the colonisers created an administrative category called the Scheduled Castes and snapped the umbilical cord of the Hindu caste system. There was no use of that term anymore. If the newly independent government wanted to continue with the same policy from the colonial period, it could have well been done by outlawing castes. If they wanted to extend it to the tribes, it could have been done by renaming the schedule (if required) and accommodating them within the same schedule. The caste stigma associated with the schedule could have been diluted by including the tribes into the same schedule as the latter did not have any caste. Going ahead, they actually included a vague term by which the state would identify “classes” — to be read as castes — that were socially and educationally backward. Imagine: in a backward country like India, if you search for castes that are educationally and socially backward, which caste would be left out? And when they wrote it in a sanitised way — “classes” — only Ambedkar explained that classes were to be read as castes. This intrigue just to preserve castes needs to be understood. Reservation as such has become a prop for conserving castes. It is a weapon they use to divide the people. It is not caste alone; you can see them doing the same thing with religion — another weapon to divide people. It can be seen in what they did to secularism. Contrary to the commonplace notion, there is no term called “secularism” in the Constitution. It was inserted in the Preamble during the Emergency. But then, the Preamble is just a vision; it is not the body of the Constitution. SR: Do you think that the Ambedkarite parties are open to such an analysis of reservations? AT: No, the Ambedkarite parties would not encourage this argument. Dalits need to be educated. But these parties will not let it happen. They would rather keep them engaged emotionally with something or the other. They have vested interests. It would be suicidal for them to accept this explanation. AT: There are a lot of wrong notions among the people. Atrocity is presumed to be a part of the classical caste system. How can it be a part of it? Caste was the life-world of the people. It means its logic (hierarchy) was internalised by all, including the lower castes. That is why it has survived for so long. It is the longest surviving man-made system in the world. In such a situation, where is the occasion for committing an atrocity? Atrocities as a phenomenon was created by the post-colonial political, economic development. It is an outcome of the policies that the ruling classes pursued in the post-colonial period. These atrocities are inflicted collectively by the non-dalits on the collective of the dalits in order to teach a lesson to the latter — that they should not defy the caste code. Each of the incidents, if you look at them minutely, involves instances of huge class contenpt. That is why I called it a new genre of atrocities. This began with Kilvenmani in 1968 — you won’t find anything of this kind before that. SR: In your book, as much as you criticise the RSS, you also acknowledge that the BJP is reaping the electoral dividends based on the work that the RSS is doing. Why is that? AT: It is only because the BJP gets political dividends that they display concern for dalits and chant paeans to Dr Ambedkar. Ambedkar, the icon, is a product of vote bank politics, which, in turn, is a product of the post-colonial political economy. I have explained it in the book. It coincides with the dilapidation of the dalit movement which drove dalit masses to feel nostalgic about him. In the face of the self-seeking dalit leaders, the messianic emotion associated with Ambedkar got deepened. This is duly exploited by the ruling classes through the promotion of Ambedkar-icon. Political parties want to cash in on the dalit vote bank. That is why every politician, whether seasoned or a novice, has to show his devotion to Ambedkar. The RSS is a very well organised group with clarity of vision and a strategic plan. Although it is a brahmanical outfit — the RSS and Dr Ambedkar may be taken as opposite poles on an ideological spectrum — over the years they have achieved what others could not. During the period of Deoras as Sarsanghchalak, the RSS surreptitiously included Ambedkar in their pratahsmaraniya (morning prayers). In 1983, they launched a platform called Samajik Samarasata Manch in order to make inroads into the dalit community. At that point of time, no one could have imagined that they would be successful in their plan. But look at them today; they have most of the dalit leaders in their fold. In fact, a substantial section of the dalit masses vote for them. It is this persistence and tenacity of the RSS that needs to be praised. Other parties really lack this. SR: This is a slightly personal question. You teach in a management institute now. How do you manage this dual life of activism and management? Also, how do your students perceive you? AT: I started with activism very early in my life and that has run like a parallel career. In the pre-internet days, the anonymity saved me from conflict in performing both these roles. The two worlds that I lived in simultaneously were light-years away from each other. The corporate world that I inhabited to earn my living would not understand a thing of the world of activism, and vice versa. Therefore, I did not have much of a problem carrying on with them, except for the psychological stress that it entailed. I ended my corporate career as the CEO of a company. As I said in the book, even at that stage, I did not have any hesitation in holding a Red Flag on May Day. I have always led this kind of a dual life. But nowadays, in the age of internet and social media, it becomes a little inconvenient. I was a professor at IIT Kharagpur for five and a half years. During the first few years, there used to be a lot of gossip in the campus — can it be the same Anand Teltumbde? When outsiders started coming to meet me, people realised that I was the same person. Students in my management institute too find it very unusual when they know of my other side. I never talk autobiographically. Anand (S Anand, the publisher) insisted that I talk about myself in the introduction. That led me to start the introduction of the book on a personal note. In fact, the student I mentioned in it was actually from IIT Kharagpur. The text of this interview has been updated on 25 May, 2018 based on the suggestions of the interviewee.